Lloyds Bank has launched a £100m fund to help small businesses take advantage of supply chain opportunities linked to the construction of Hinkley Point C nuclear power station. The fund, which opened on Friday, will help small to medium-sized enterprises (SMEs) across the UK access discounted lending and become involved in one of UK’s biggest investment and construction projects. 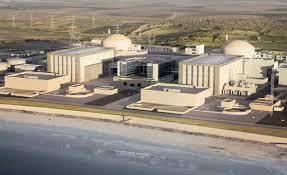 It is estimated that construction of EDF Energy’s multi-billion pound nuclear power station near Bridgwater, Somerset, will put £200m a year into the regional economy at its peak and lead to more than 25,000 job opportunities. The fund can also be used by businesses that provide indirect services to the plant through an agreed contract such as hotels, transport, catering, facilities management and security services. The bank will also be helping businesses navigate the tendering and supply chain process and direct firms to the Hinkley Supply Chain Team, which consists of EDF Energy and the Somerset Chamber of Commerce. Lloyds Bank Commercial Banking South West regional director of SME banking, David Beaumont, said: “Hinkley Point is a huge investment for the South West and the UK and we want to help small and medium-sized businesses take advantage of the opportunities that exist in the supply chain. Once fully operational, the plant will have the capacity to generate electricity to power around 6m homes across its anticipated lifespan and ensure that the country has enough low carbon electricity when the UK’s older power stations are expected to close from 2030.